for the Xiaomi smart house ecosystem. 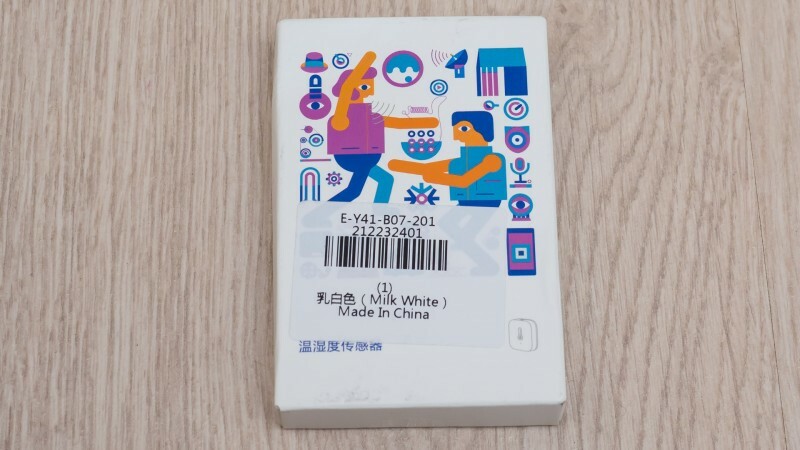 In contrast to the white-gray boxes in which the majority of the devices is delivered, this parcel is quite colourful. The box contains a sensor with a glued double adhesive tape, there is also the second additional piece of the adhesive tape. You can see two holes for the analysis of the temperature humidity and pressure in the lower part of the sensor. 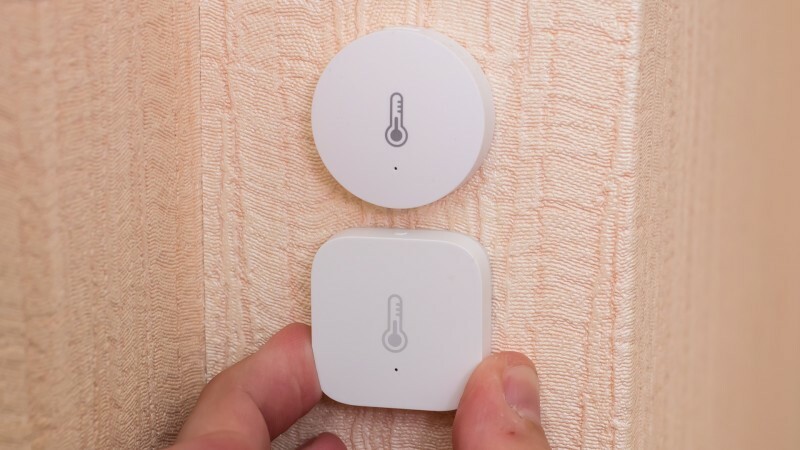 The thermometer designation and the blue LED are located at the top of the sensor. 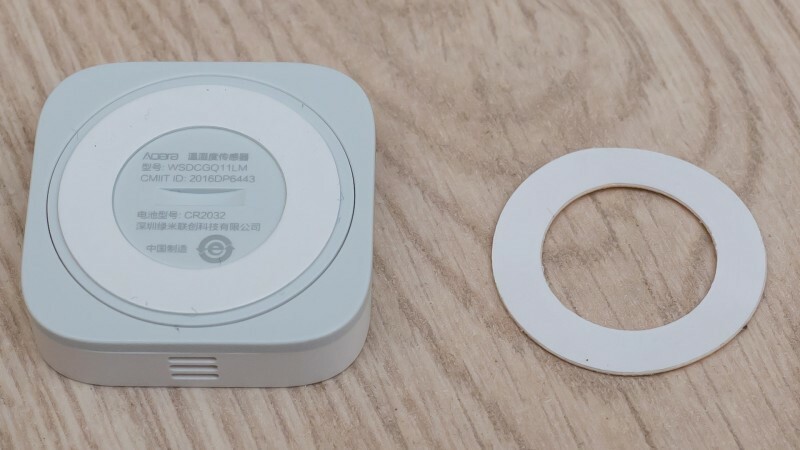 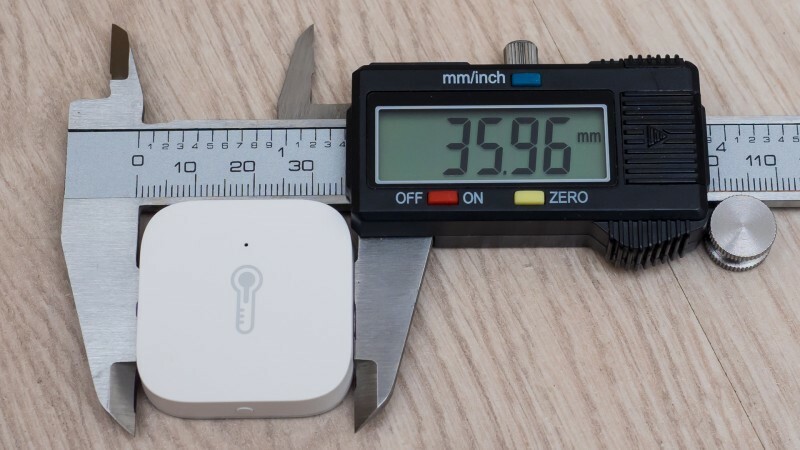 The size of the sensor is about 3.6 cm on each side. 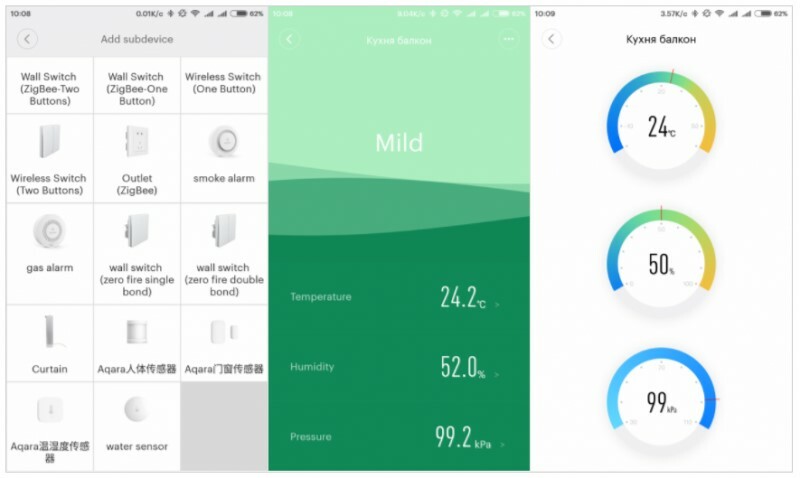 On the upper side of the sensor there is a pairing button.Here you can see the visual comparison with a sensor of the previous type. 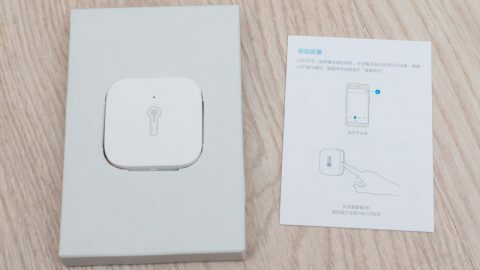 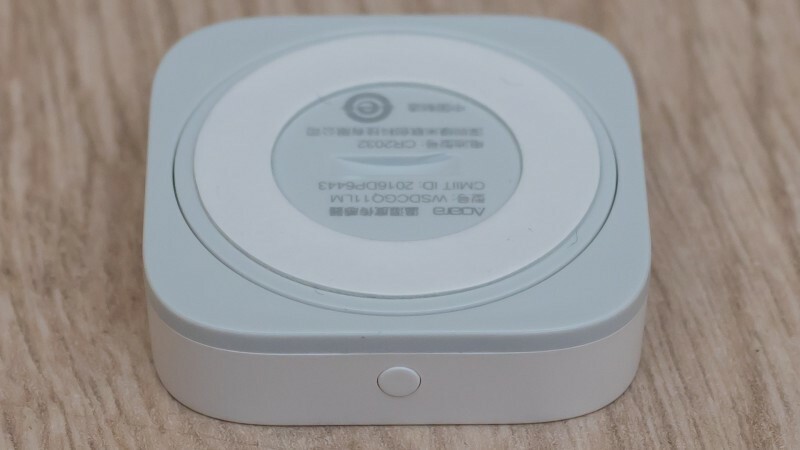 After the last update, the list of the connected devices has expanded and now it includes the water sensor and the Aqara motion opening and the temperature sensor. The appearance of the plugin is almost identical to the previous one except for a new line with an atmospheric pressure indicator in kPa. 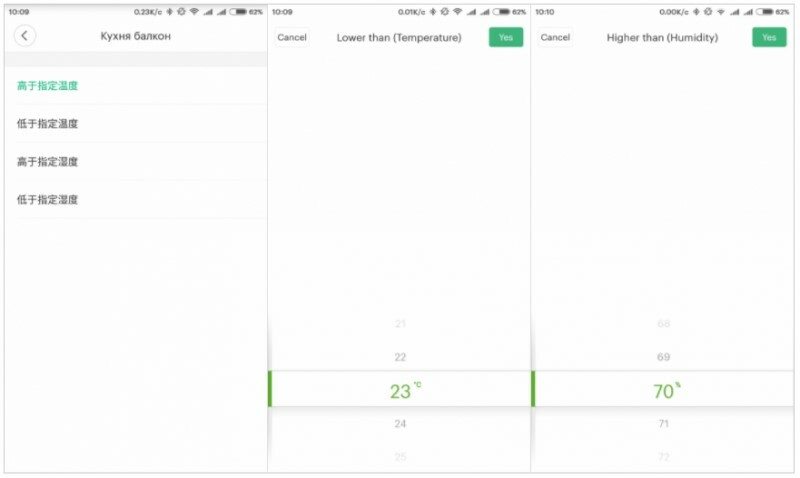 To obtain the data in mm Hg, multiply by 7.5. 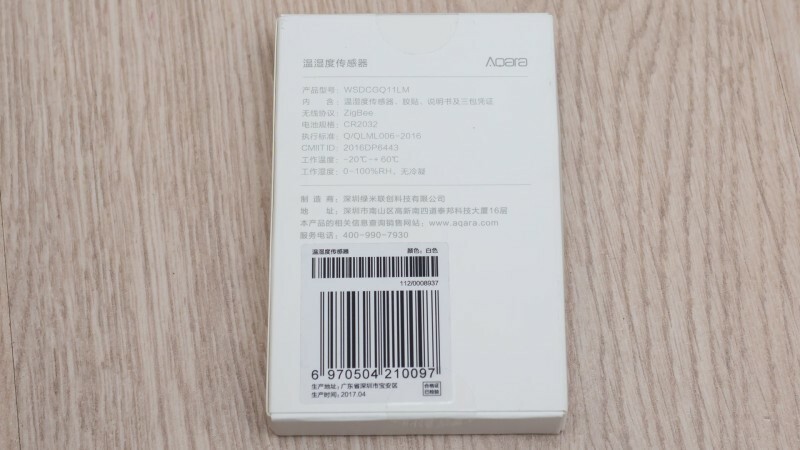 Accordingly there are three “switch” sensors now. 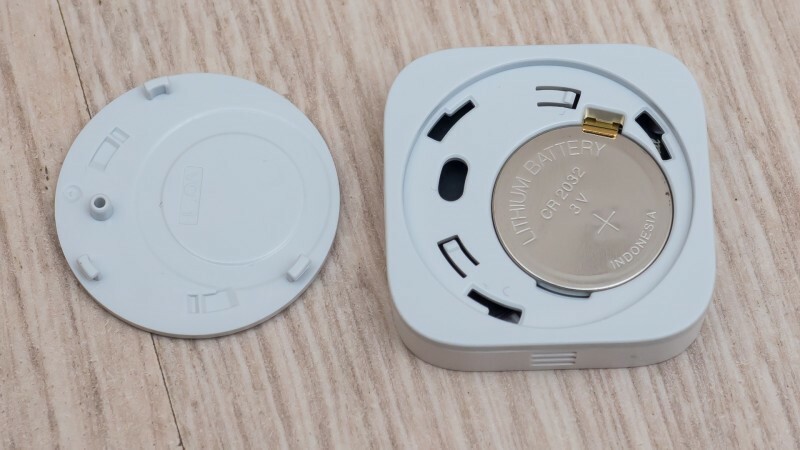 The same can be said about the smart scenarios in which the sensor participates. 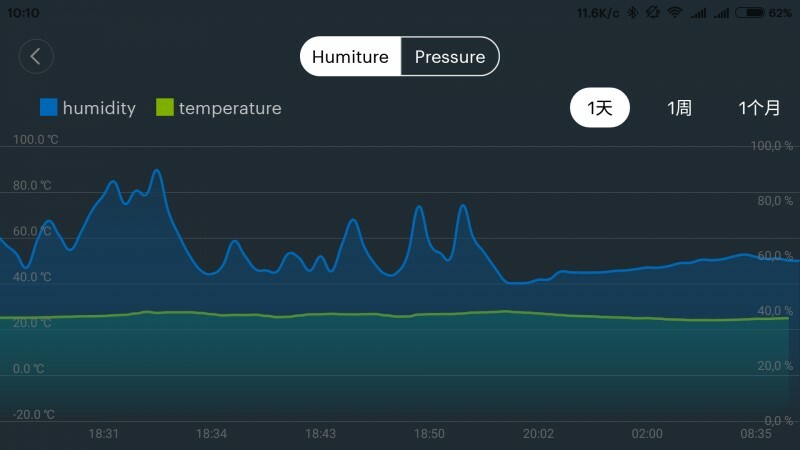 It offers the same 4 conditions for the triggering of the scenarios: more or less than the specified temperature and more or less than the specified humidity. 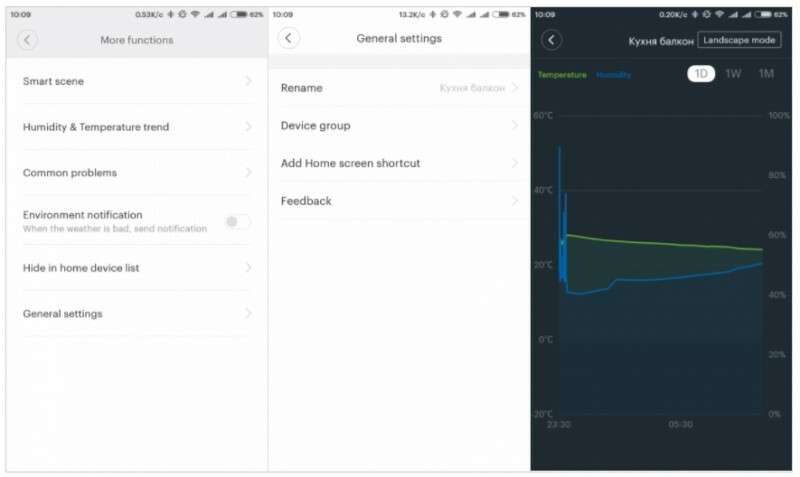 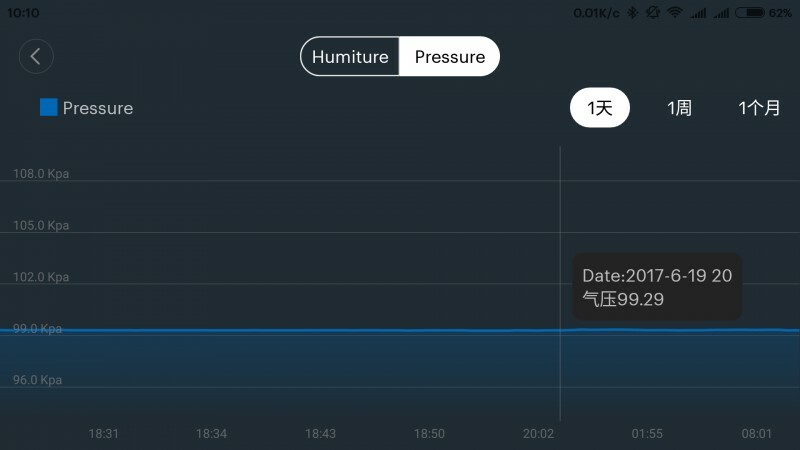 By clicking on any of the indicators in the main menu, a timeline appears, the same as on the Xiaomi sensor, but here you can already find pressure readings.